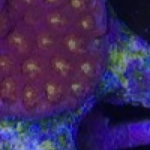 A significant number of reefers support their hobby by propagating, and then selling or trading coral frags. 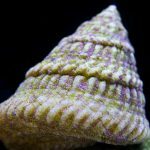 Dedicated frag tanks have surged in popularity, which has compelled manufacturers to offer solutions for keeping these home coral farms thriving. 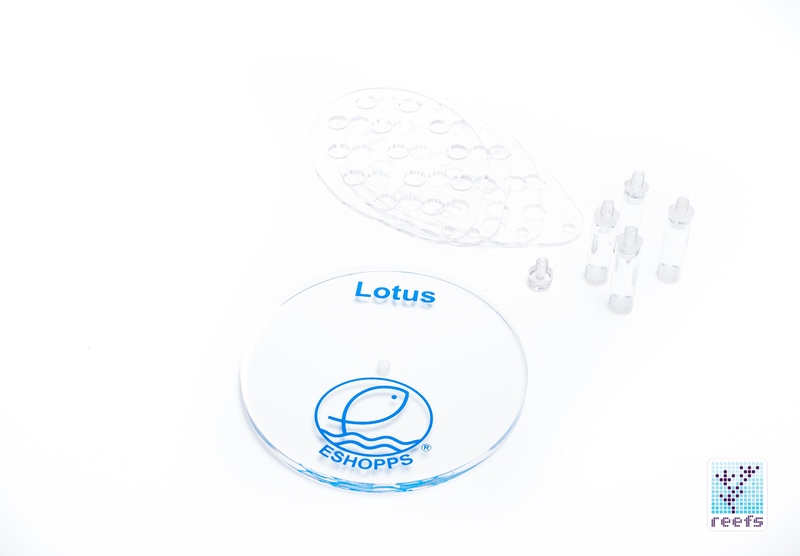 Lotus is one such solution and it comes from Eshopps, a company known for introducing new, unorthodox ideas to the aquarium hobby. I got my hands on one and have to say, it is quite an eyebrow-raiser. 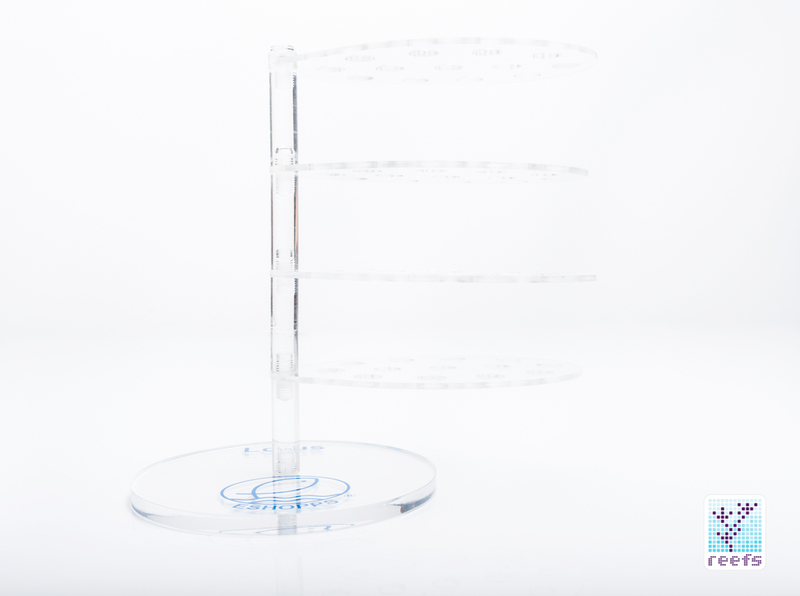 Lotus is a free standing frag rack like you’ve never seen before. 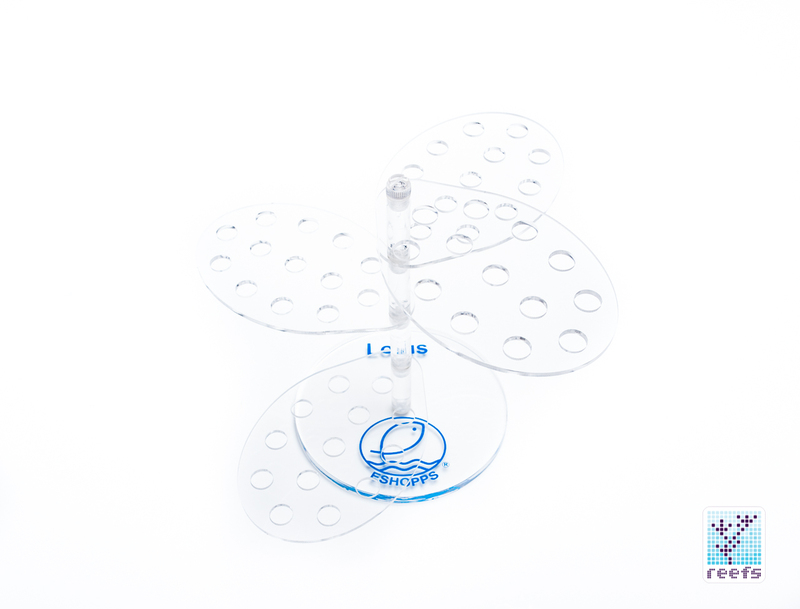 Made of sturdy translucent acrylic, Lotus comes disassembled and can be put together in a number of different ways, depending on the end user’s preference. 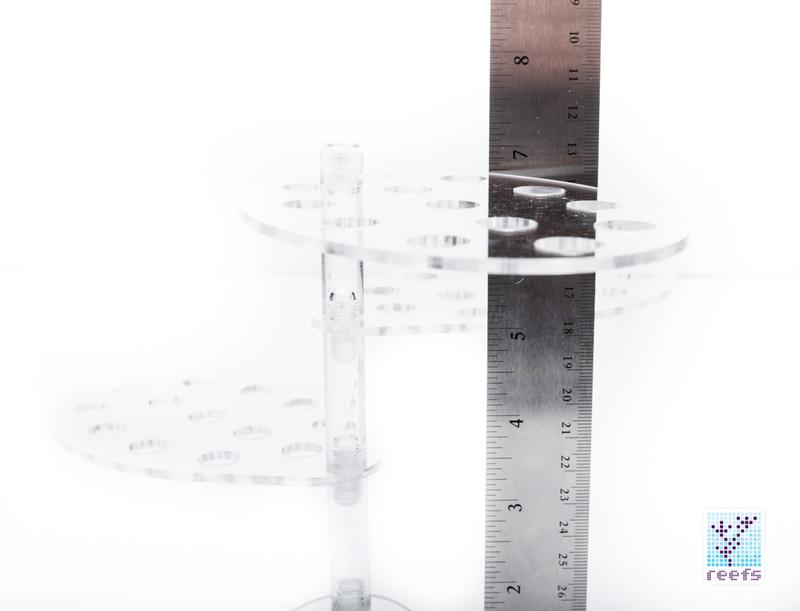 Its modular design is based on a center column broken into four sections and an over-sized base, from which four leaf shaped platforms extend, forming a structure closely resembling a flower stalk. 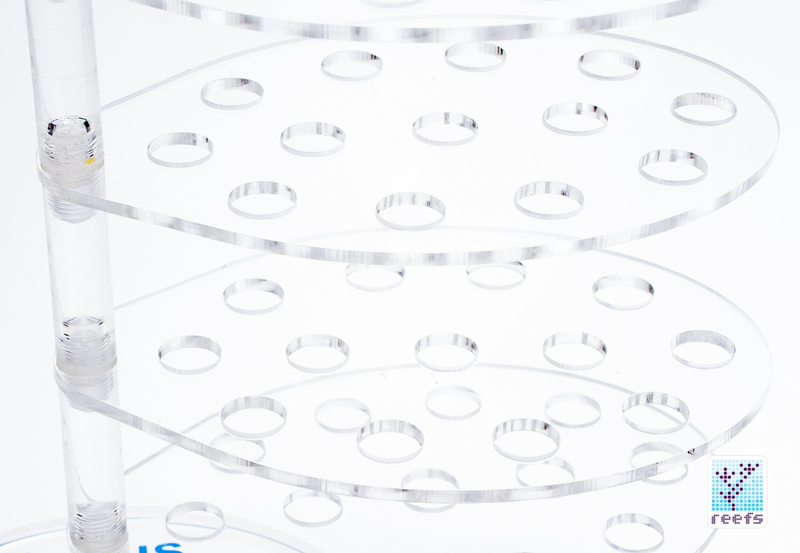 Each “leaf” can be rotated around the center column’s axis, so when frags are placed on the higher levels, they do not cast shadow on the ones below, plus this provides easy access to each rack level. 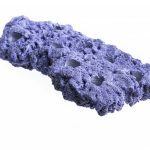 It’s a truly innovative design that saves space and allows for strategically placing coral frags according to their light level and flow requirements. 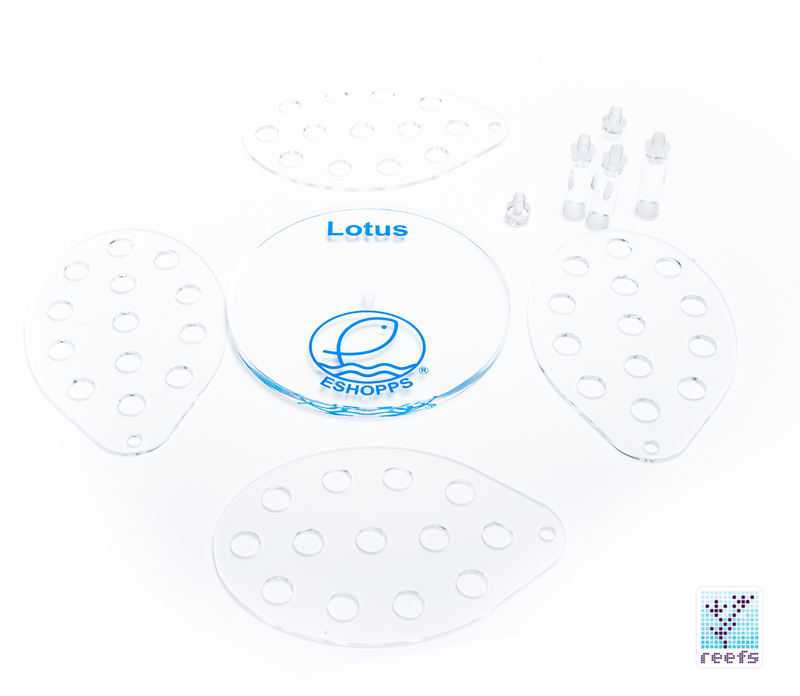 Lotus measures only 10” in diameter (with all racks extended) and 7” tall, yet it holds an impressive amount of frags, with 13 holes in each “leaf” and a total of 52 spaces for corals to grow. 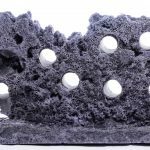 It accepts all standard-sized frag plugs and the spacing between holes is adequate to allow for corals to grow without touching each other. Additional rods and platforms can be purchased separately, and you can even ditch the unit’s base and anchor the column in a piece of live rock for a more natural look. 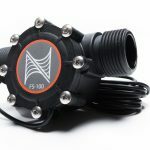 Eshopps Lotus has just been released and it retails for around $40. Visit Eshopps Lotus Product Page for moe info about their latest offering.